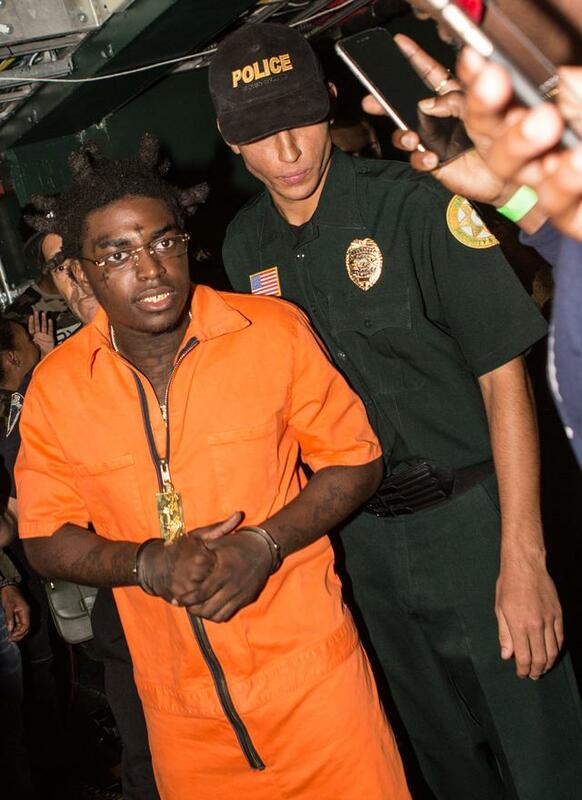 A list of some of the obscure gems in Kodak Black's ever expanding back catalog. 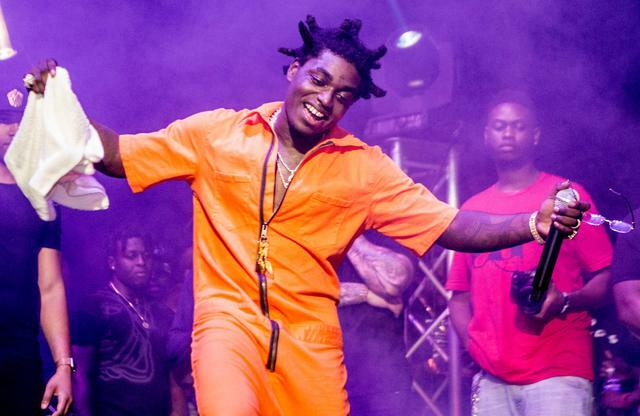 With the last few months of 2017 upon us, it's pretty clear that despite a chaotic life costing him endless money, time and freedom, Kodak Black is still, unquestionably, a central figure in the current rap climate. Both his debut album Painting Pictures and most recent mixtape Project Baby 2 have dropped to considerable success and acclaim; his own single “Tunnel Vision” as well as his feature on A-Boogie’s “Drowning” kept him as a familiar presence on radio; and now, most recently, Cardi B's homage to him on "Bodak Yellow" has resulted in a full-fledged remix we doubt will be going away any time soon. Even so, there was never a moment where he wasn’t finding some way of keeping his name in the news for better or worse. Naturally, there are going to be a few people who ask the question “Why him?” if the hits just aren’t enough to appease their sensibilities. 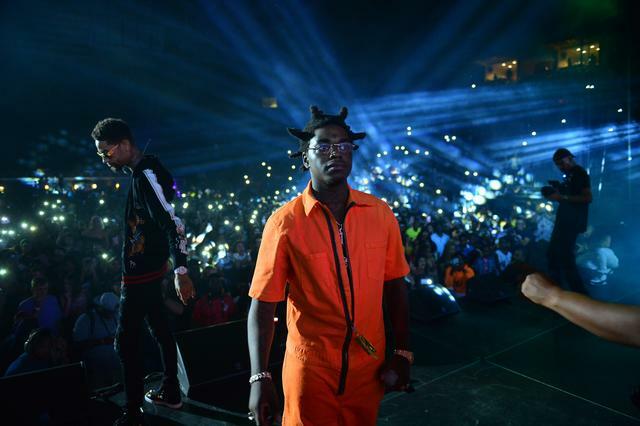 The thing is, it isn’t just the hit records that do it for the thousands of Kodak’s fans who continue to support him in spite of the rapper’s wild ways. Rather, it's a deep catalog of rap that ranges topically, sonically, and still manages to entertain the listener. Whether it's meant to uplift you or drag you down to the lowest you can feel, Kodak has spent a good amount of time honing in on his craft over several mixtapes and even a few records only the most-dedicated fans know about. Here at HotNewHipHop, we’ve got 15 of these records that might not be considered the obvious records to play for someone looking to be converted, but they all have a potency that is undeniable. Are we missing one? Plenty of rappers can feel like ‘overnight sensations’ and as a result, we rarely get to look back and discover the learning process that these present-day stars went through. Kodak’s Heart of the Projects tape predates most of his success, and in many ways feels like a bit of an awkward phase in his career. Yet even at that stage in his career, and at an early age, he was still managing to craft street anthems in the vein of heroes like Jeezy and Lil Wayne (even if he’d manage to piss off a few of them later on). “10 Toes Down” is fairly formulaic, but frankly you’d be hard pressed to find other rappers who, at such an early age, could duplicate the blueprints of a hit with ease and still show their potential to grow. A good rapper knows how to shine on his own, but a better rapper knows how to find the rappers who know how to make everything he does seem even better (read that over again if you got confused mid-way, it's a mouthful). Koly P AKA Kolyon, at this point, was one of Kodak's main sparring partners, a man who sounds like the Foxx to his Boosie, and allows for added depths of emotional resonance. “Never Imagine” features this unique chemistry, but additionally shows Kodak being able to sound just at home over classic hip-hop boom bap drums, the same way he tends to ride 808s and southern-style grooves. Just another glimpse at the tricks the Finesse Kid can pull off. If you wanted to describe a majority of Kodak’s hits to casual rap listeners, you might opt for some pretty reasonable cliches: ‘dark’, ‘slow’, ‘sad’. For the most part even his biggest hits have been characterized by gloomy beats and a molasses-like sliding. By that right, “Meant for Me,” with its surging strings and sense of urgency, almost works as effectively as say, the bouncy playfulness of “Pattycake” except with a sense of real drive and immediacy. 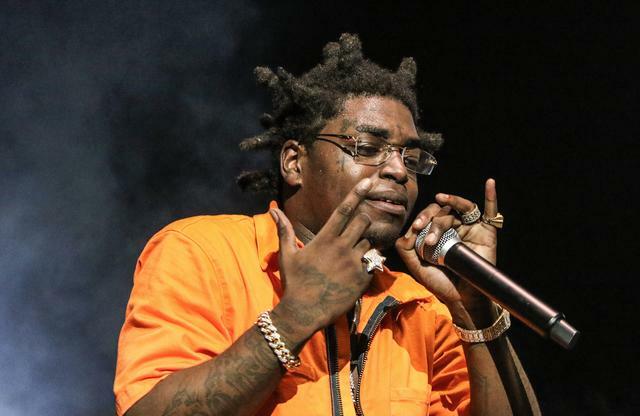 Resembling the less dread-laden tracks from “Bang”-era Chief Keef or even early Jeezy, here Kodak sounds possibly the hungriest he ever did, making it no wonder that he managed to come as far as he has. More than enough has been said about how much Kodak can remind people of Gucci Mane or Boosie Badazz in a majority of his reviews. Yet how many people compare him to southern rappers from the bygone eras, because Kodak doesn’t sound like a trapper as much as he sounds like turn of the century legends such as Juvenile or his hometown’s icon, Trick Daddy? “Kill The Beat” is noteworthy not only for the instrumental-turned-victim with its hazy synths and erratic string surges, sounding like Juan Atkins gone Slip-n-Slide, but for the energetic double-time flow. Kodak sounds much more aggressive without having to speak up. You can hear barest traces of “Ha” or “Shut Up” holding just as much sway over Kodak’s development as any of the more recent icons of rap. “Signs” is in so many ways a demonstration of the Kodak who was yet to be, but already had a deeper understanding of what he was capable of. Whereas so much of Heart of the Projects was occupied with trying to appeal to the potential audience with hooks and convention, “Signs” is a brooding and grim free-verse song dealing with struggle, pain, and a bitter sense of envy that feels more about genuine anguish than any sort of spitefulness. Its an outpour of frustration that reveals the emotional depths Kodak was ready to reach at such a young age and could convey with surprising maturity. For all the benefits that happens when Kodak is left to simply wax poetic without boundaries, there’s still a true sense of craft that he’s been honing in over the years. Over a silky smooth instrumental with a sample chop right out of some 80s drug runner movie, Kodak lets the hook fall to singer Dirty 1000, while he himself is breezily confident, and without a care, while he effortlessly spins yarns about the street life he represents. Perhaps not a classic indicator of Kodak’s strengths, but yet another example of the diversity available at his disposal when the right moments arrive. Ask the majority of Kodak’s fans, and more than enough of them will point to the Institution mixtape as the turning point for Kodak as an artist. Singles like “No Flockin”, “Skrrt” or “Skrilla” might be a lot more memorable, but a song like “Fed Up” is incredibly striking. Over a solemn, minimal track of Rhodes keys and industrial percussion, Kodak doesn’t sound angry or sad, as much as he seems to be overloaded with contempt. 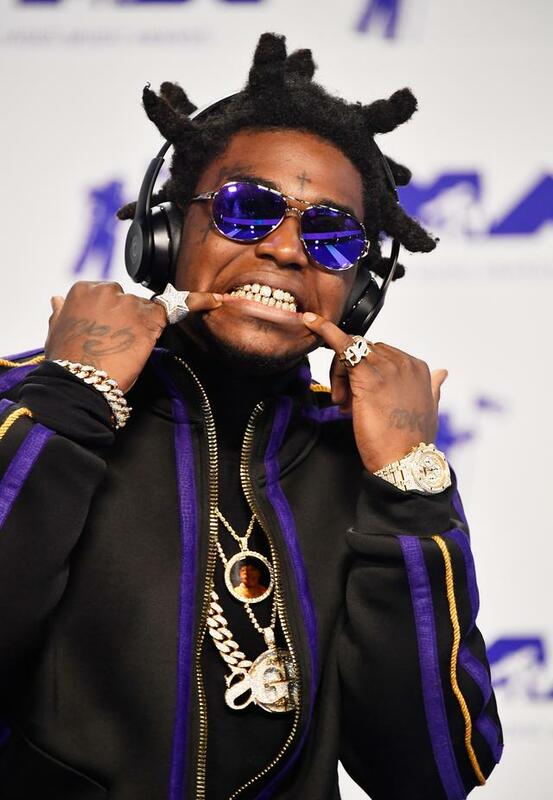 It’s his ability to communicate so much with so little being done by him, or even his production, that really defines the hallmarks of Kodak’s abilities as a rapper. “Real N***a Files” is everything about Kodak circa Institution that we know and love. Storytelling with the levels of detail and world-weariness that betray his considerable youth, and leave the listener compelled and absorbed for the entire run without any real need for catchiness or crowd-pleasing. But what really puts it over the edge is the lavishly jazzy, southern-fried instrumental that gives a theatrical tint to all the vivid imagery coming from the young rapper, taking it from a song to a journey. "Gave It All I Got"
2 years ago today @KodakBlack1k released his game changing “Lil Big Pac” and solidified himself as a force to be reckoned with in the industry. The ear for beats is one of the more underappreciated aspects of what helps a rapper stand out in the competition. I couldn’t tell you how many rappers give it their all over the most uninspired cheap 5th-tier imitations of ‘hits’ that’ll engage none, except their most dedicated fans. Much to his credit, Kodak is more often than not a particular connoisseur for production, his discography riddled with weird loops that range from musical to atonal yet always manage to hypnotize the listener. As per usual, the dark grooves work well to let Kodak spiral into a lethargic angst while dwelling on betrayal and nostalgia, with a fatalistic matter-of-factness. 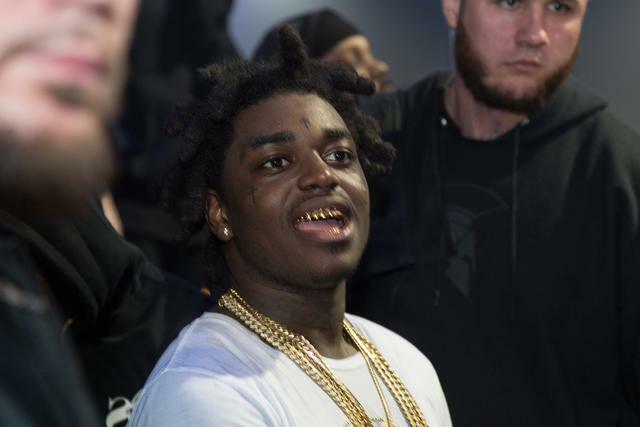 Let’s be honest; it will be a long time before an artist like Kodak Black ever gets considered ‘real hip-hop’ thanks to the fact that the industry tends to look down on southern street rappers, especially those who simply had the ‘(mis)fortune’ of becoming famous while they could still be considered an adolescent. But one of the weirdest trends in Kodak’s discography is to go in over old classic instrumentals for freestyles or even complete song rewrites (as demonstrated on Project Baby 2’s “Transportin”). 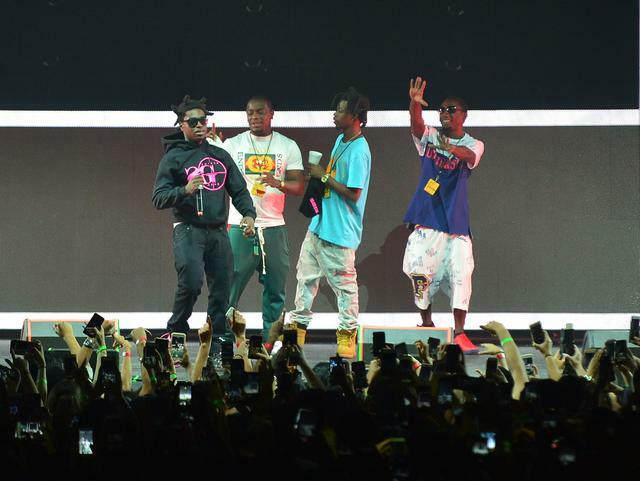 Its hard to say if Kodak is simply a fan of the beats or perhaps he enjoys the artists as well. Here, over a Goodie Mob classic, Kodak isn’t playing with ghetto-centric paranoia on a broad scale like his elders, but instead projecting his viewpoint to widescreen. 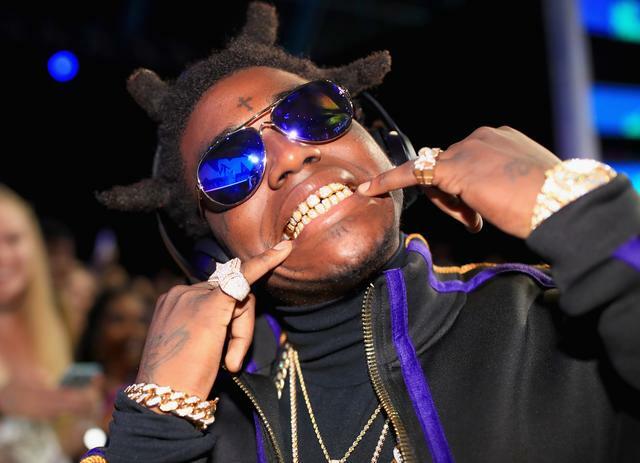 Leave it to Kodak... Not only does he go ahead and jack a beat from an iconic LL Cool J loverman classic, but he also drags the song into the dirt and makes it something entirely new. Over the smooth 80s keys, Kodak is not anything close to trying to be soft and tender; instead choosing to bemoan being separated from his child, drug use and past acts of violence. Even if he had no idea about the original’s purpose, it demonstrates that all you need is a stirring melody, and Kodak can use that to go down any sort of introspective path he may so choose in the moment. “Molly Pt. 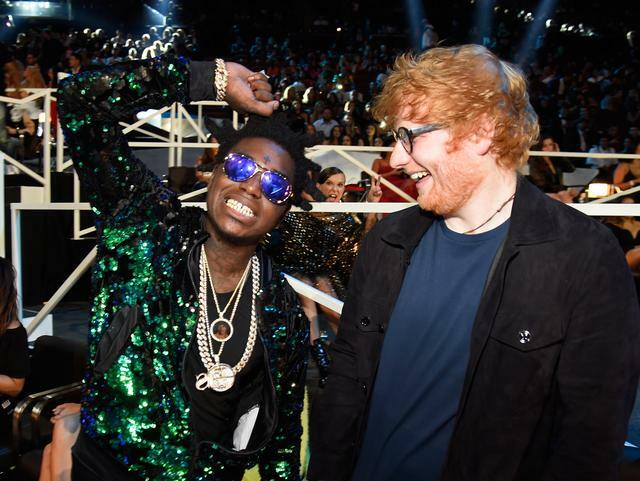 2” is not only a sequel to an earlier paean to the drug’s blissful high, but maybe one of the more ridiculous outliers in the Kodak Black discography. 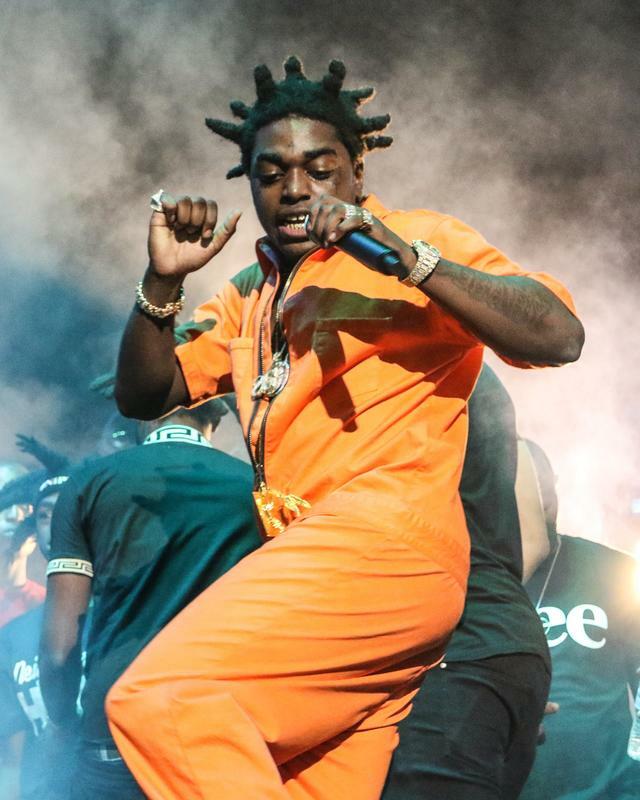 The steel-pan drums and trance-like synths recall previous drug anthems like Jackie Chain’s “Rollin” or fellow Floridians Grind Mode’s “I’m So High,” but Kodak himself is just spaced out of his mind as he free-associates on just how high he is. Perhaps not a classic song to sing along to in concert, but if you’re the kind of fan who can relate to Kodak getting so zoned he starts comparing himself to Louis Armstrong, well, you’re in for a treat. 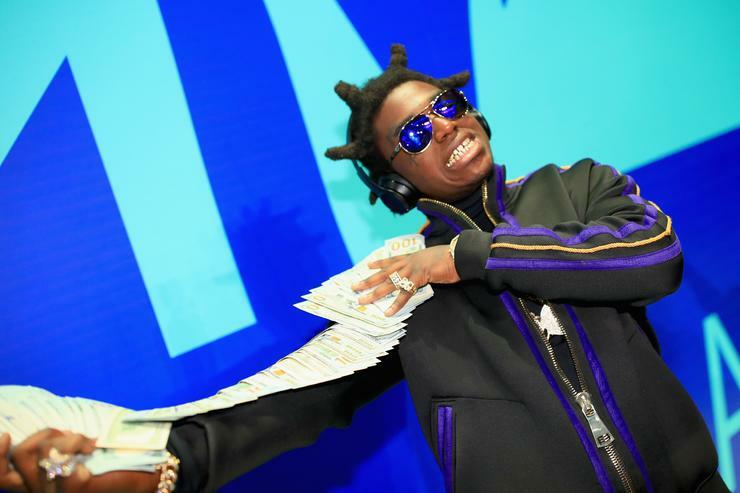 What makes a rapper like Kodak Black particularly interesting isn’t always the hits mind you, but its the experiments and the one-off ideas that feel like no other rapper would dare get away with. “I Wanna Rock” is a loosie from the early days of Kodak Black before the fame and before his skill would develop, and the rapping is mostly some clever punchlines. But that beat in particular, with its weird ghostly phasing on the samples, is like something out of the early wilderness of Lil B’s Myspace era. I’m not expecting Kodak to start calling himself a god or wear grandma earrings, but it’s definitely an early example that this kid was destined to try and forge his own path. Tracks like “30” don’t have a lot of symbolic value or anything like that; by the time Lil Big Pac came around, it was pretty clear that while the industry hadn’t quite welcomed Kodak with open arms, his talent had already started to mature and he had a signature sound that few could measure up to. Frankly if you were simply happy enough to put on this record to let the beat ride, it’d be entirely reasonable. But when you remember a banger like "30" isn’t even considered a hit or a single, it makes you shake your head at just how far Kodak’s come at such a young age.